Identification: Abdomen upperside is black, below is red-orange. 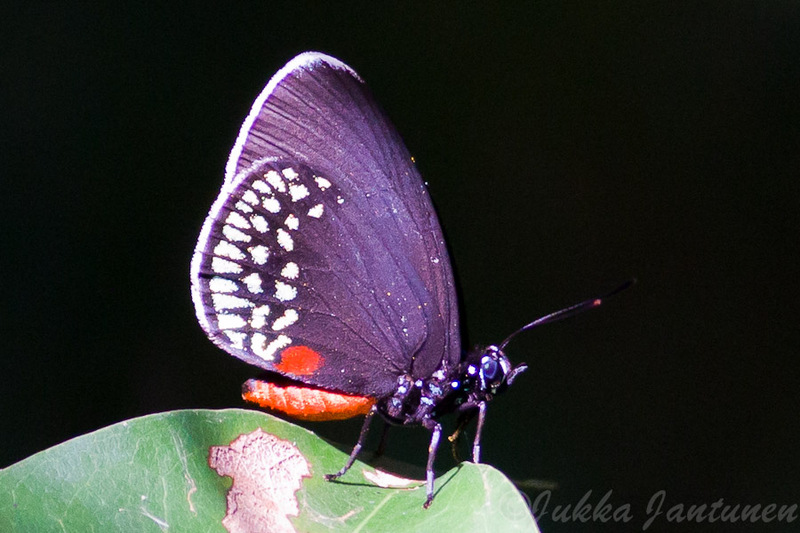 Upper surface of wing black covered with iridescent blue. 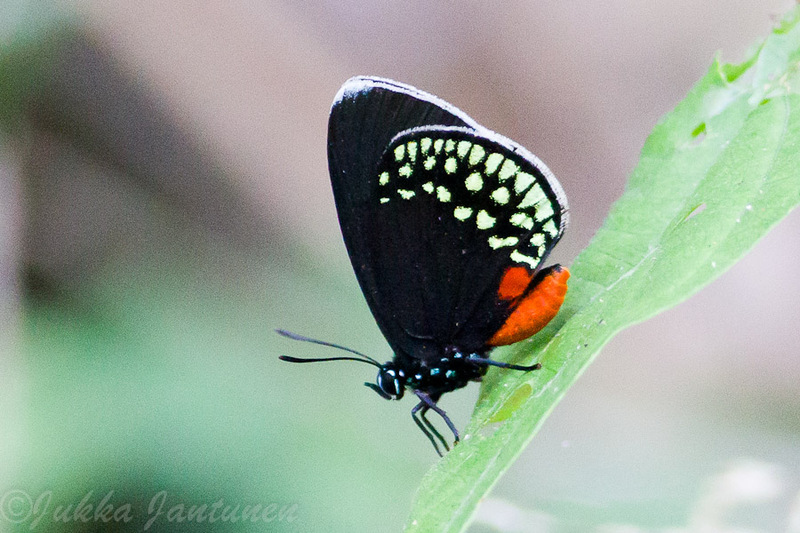 Underside black; hindwing with rows of iridescent blue spots and one red-orange spot. Life History: Eggs are laid in groups of 3-8 under new leaves of host. Young caterpillars feed on the outer layer of the leaf. Flight: Many flights in Mexico, from April-December. Adult Food: Not reported. May include bird droppings. Range: Honduras north to Mexico. Rare in South Texas, one stray to Florida.